A wedding is on the horizon for Lane Winslow and Inspector Darling. As one of the few Russian speakers in her community, Lane is obliged to act as translator and hostess for Countess Orlova, an elderly Russian woman who has tracked her missing brother to the Nelson area. Nelson PD investigates, but then the murder of a lone hunter in the hills above King's Cove takes top priority. Darling works the case with a Constable Oxley--a newcomer to the area, assigned in Constable Ames' temporary absence--and a British agent contacts Lane to warn her to be on the lookout for a fleeing Russian defector. 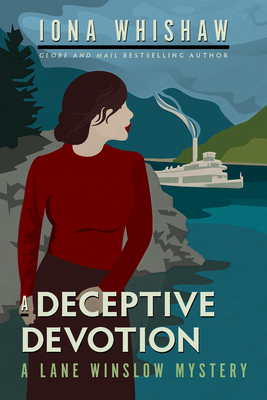 Bound by the Wartime Secrets Act, Lane is conflicted about keeping the information from Darling, especially when it begins to put a strain on their relationship.